Ok, so I have nothing to post about. My wife has my Macbook Air and will have it for the next month or so, and I hate writing on anything OTHER than my Macbook Air, so I’m not doing any writing. This sorry excuse will only last so long. I hope to begin the next project soon. 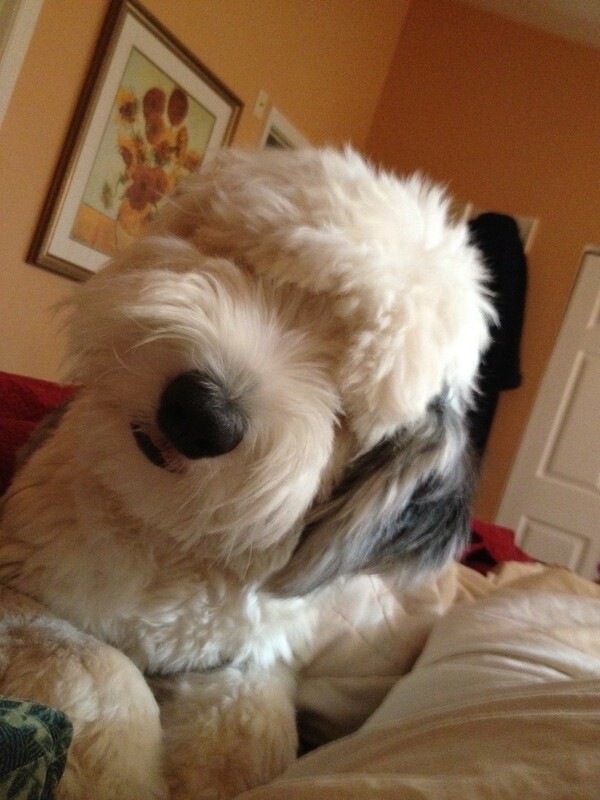 Meanwhile, meet Peekabu, my Old English Sheepdog!